This particular print features Ricou Browning as the Gill Man in the the 1954 film The Creature from the Black Lagoon (Browning played the creature in the underwater sequences of the film). The Creature appeared in two follow up films and has been parodied and cameoed in numerous other media. 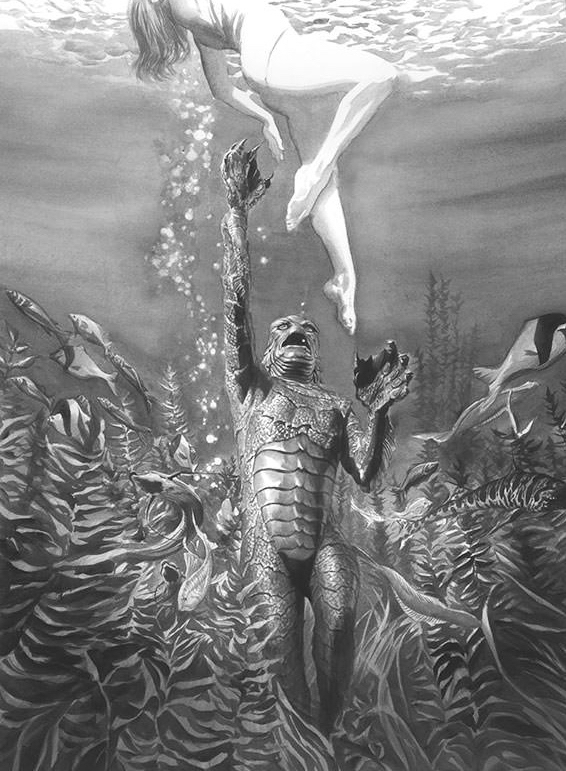 Ross’ image captures the unknown terror lurking just beneath the waters surface as Kay Lawrence (portrayed by screen beauty Julia Adams) swims through the remote lagoon.